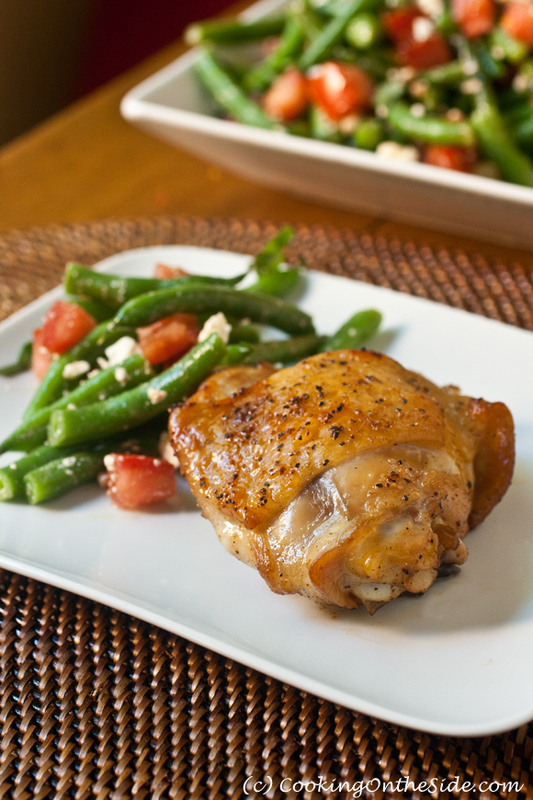 Let’s slow things down here for a second, and make some simple Brined Roast Chicken for dinner. Last week was a pretty big one for me. The cookbook I’ve been writing and photographing for over two years – The Ultimate Panini Press Cookbook– finally came out! It’s at Amazon, Barnes & Noble and Wal-Mart and has been receiving some incredibly positive press on The Kitchn, The Pioneer Woman, The San Jose Mercury News and elsewhere. This is all uncharted territory for me and it’s been pretty darned exciting, but also BUSY! I definitely look forward to the moments in the day when I can sit down, collect my thoughts, laugh with my kids and just relax. To Brine: In a gallon-size sealable plastic bag, dissolve the salt and sugar in 1 quart of cool water. Add chicken pieces, then seal the bag, pressing out as much air as possible. Refrigerate for about 1 hour. Remove chicken from the brine; rinse well under cool water. Pat dry with paper towel. To Roast: Combine butter, garlic and pepper. Brush the chicken pieces on all sides with melted butter/spice mixture. Transfer the chicken pieces (skin side up) to an oiled rack in roasting pan. 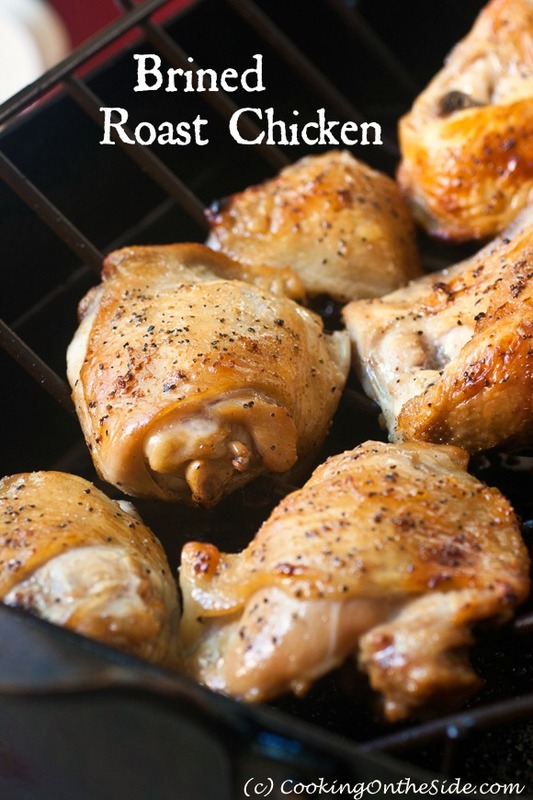 Roast uncovered at 425° F until juices run clear and chicken is cooked through (170° F for breasts; 180° F for thighs and drumsticks, about 305 to 45 minutes). *NOTE: I usually don’t specify brands here, but when it comes to salt there can be differences among brands. I’ve only tried this recipe with Morton, so I can’t say for sure how it will work if you use Diamond or another brand. Definitely use coarse salt and not table salt for this recipe.